Microwave ovens feature different door options that often indicate where they should be placed or installed in a kitchen. The differences between these doors have their own multiple pros and cons. Microwave door comparisons help buyers make educated choices. Getting a new microwave? Here’s something you may not have thought about – the type of microwave you get depends as much on the door as the power to heat up your leftovers. Door placement is an indicator of where your microwave will be featured in your kitchen. For example, a drawer microwave can’t fit over the range. Before you make your purchase, determine which type of microwave door you need for your kitchen. The most common type of microwave door option is the right-handed door. Why? The majority of the population is right-handed. Chefs tend to use their dominant hand for appliances, and the microwave is no exception. Cooks place the dish in the microwave with the right hand while holding the door open with the left. 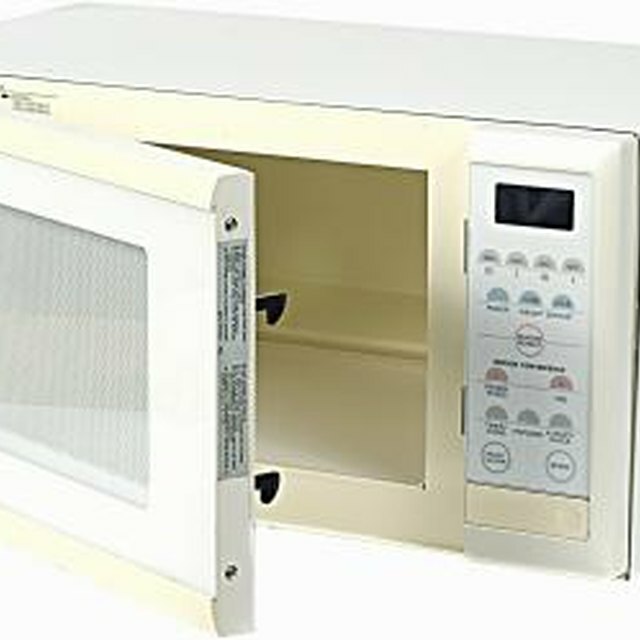 While there are no left-handed doors – hinged on the right side to open left to right – there was a microwave that allowed for a reversible hinge. Kenmore attempted to create a microwave that allowed for either side, but the microwave was discontinued when sales of the product weren't very good. Drop-down door microwaves have doors that pull down with a handle, much like a conventional oven door. This is a popular choice for avid cooks since it's at the level of an oven and has a larger interior than the swinging-door microwave. It allows for easier access to the food, so the user is able to stir a dish without removing it from the microwave completely. The downside is that these microwaves aren't convenient for an over-the-range placement in the kitchen. Cabinetry will need to be customized for its placement. Versions that sit on the counter take up valuable space. Warming drawers may have been a feature on your great grandmother’s stove. Our modern version is drawer microwaves that improve upon an old idea. Drawer microwaves are just like the name suggests – the microwave features a slide out for food placement and closes like a drawer for cooking. Most feature open/close buttons for easy access. They allow you to pick up and place the dish directly by bending, instead of lifting the dish at eye level. This can prevent spills and accidental burns from a heavy dish. The downside is that drawer microwaves must be custom installed. They may not fit into existing cabinetry that was built and wired for an over-the-range or countertop microwave. This can be a pricey option. * No lifting heavy dishes to eye level to place in over-the-range microwave. Reviewed USA Today News Network: Ask the Experts Why Do Microwaves Open Right to Left? Nat Howard is a writer, editor, journalist and jack-of-all-trades, covering topics from home improvement and design. Her background includes web content and editorial roles with a Fortune 500 home improvement chain. She holds an MA in Professional Writing from the University of Roehampton.